Shrink wrap is the recognized standard for long term storage protection in the marine industry. We utilize the service life of shrink wrap to provide a longer term solution for our clients when common methods will not suffice. From leaking flat commercial roofs to entire building envelopes during renovations, Shrinkwrap is the ultimate problem solver. 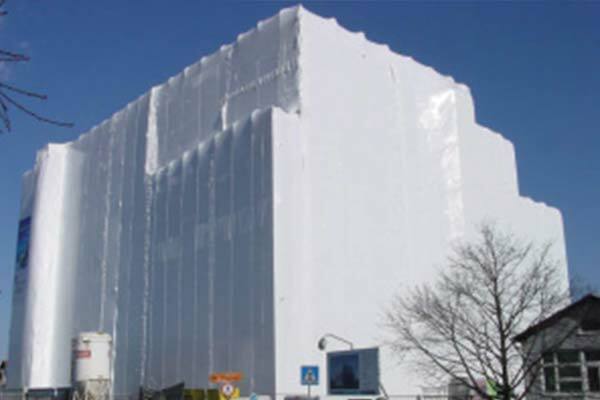 Due to its ability to sustain winds, conform to unique shapes, and provide a weather-tight barrier in emergency situations, shrink wrap is the answer. Ask us about our shrink wrap services and other remedial measures.